The reaction to Xiaomi’s Mi Mix has been phenomenal, with some hailing the thin-bezel device as the future of smartphone design. 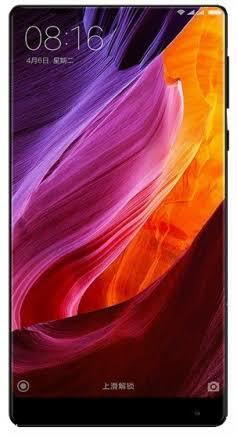 But Xiaomi is not done pushing the envelope – rumors out of China claim that the Mi Mix 2 will be even more compact for its screen size.According to anonymous sources cited by MyDrivers, the Mi Mix 2 will feature the crazy screen-to-body ratio of 93%, an increase over the mere 91.3% boasted by the Mi Mix. It’s not clear how Xiaomi will achieve this feat of product design, but you can expect the bezels to be even more anorexic on the Mi Mix 2. The Mi Mix 2 is said to switch from LCD to AMOLED for the display tech. We can speculate that going AMOLED could let Xiaomi add curved sides to the design of the Mi Mix 2, effectively cancelling the side bezels. The top and bottom bezels are likely to stay though – Xiaomi will reportedly use the bottom bezel to accommodate a fingerprint sensor. That’s a change over the rear-mounted sensor on the current generation. Previous rumors claimed the sensor on the Mi Mix 2 would be embedded in the display, but that feature seems off the table for now . Xiaomi will retain the ceramic construction of the Mi Mix for the next version of the device, which will also be drawn by famed French industrial designer Philippe Starck. Another returning feature is said to be the special speaker that’s embedded in the screen of the phone, instead of the typical bezel location. We’re still early in the product development cycle – the Mi Mix 2 is likely to be unveiled towards the end of the year – so take these early rumors with some salt for now. That said, it seems logical for Xiaomi to attempt to retain the magic it created with the original Mi Mix. Competition is stronger in 2017 – just look at what LG has done with the G6 but Xiaomi has a habit of surprising us.